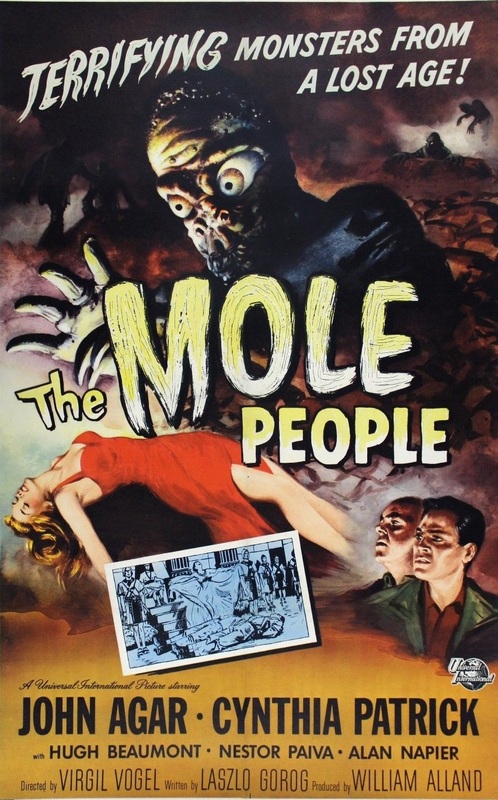 The Mole People isn’t a great film. Let’s get that out of the way right now. 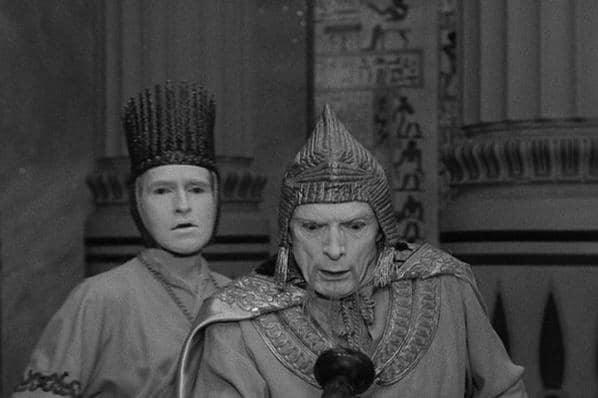 It’s an often silly, cheap-looking B-movie, that mixes up its history and mythology while trying to present biblical tales as scientific fact. It has a remarkably stilted intro from an “academic” who introduces the concept of hollow earth theory as if he’s giving a college lecture, albeit one that he has forgotten his notes on and has never spoken in public about before. 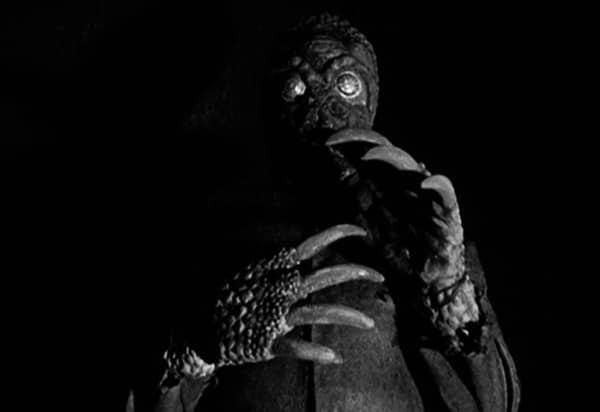 The titular Mole People aren’t even the real monsters of the story, instead they have a much more human visage. And yet, despite all of this, this is a fun and often exciting experience that just about does enough to hold the interest for its sparse 77 minutes of running time. Just. A trio of archaeologists exploring an ancient and previously undiscovered temple in Mesopotamia discover hidden tunnels that lead to an even bigger discovery – an underground civilisation of Sumerians. The tribe are completely albino after living underground for five millennia, shunning all forms of natural light and have established a society with them at the helm and a race of semi-human Mole People as their slave caste. 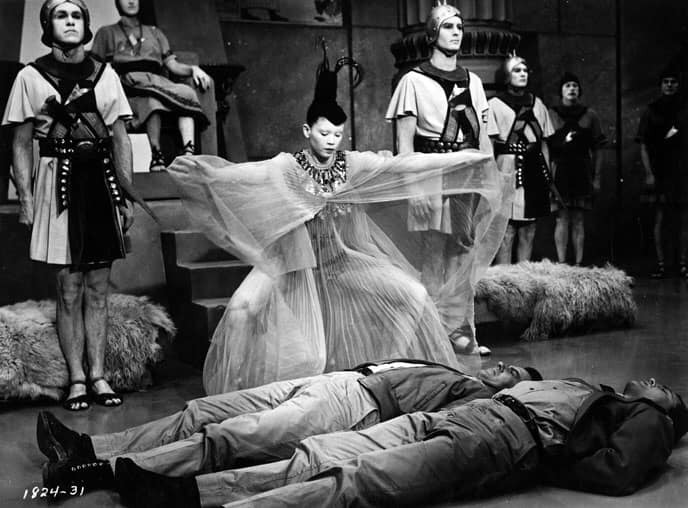 Initially treated as interlopers to be executed, the archaeologists are then regarded as gods due to their use of a flashlight which dazzles the albinos weak eyesight. It’s not long before the elders turn on the explorers though to take the flashlight for themselves. While making their escape the trio encourage an uprising by the Mole People, but can they also escape the underground city with their lives? Seven years before it would even exist, the thing that The Mole People most resembles is William Hartnell’s original Doctor Who. The team of scientists and academics stumbling across an alien culture, getting into scrapes and escapes while inspiring a revolt by the put-upon slave workers is vintage Who, which might be why I’m giving this such an easy time of it. Because in all honesty, The Mole People isn’t very good. The realisation if the lost Sumerian culture is nicely (if lazily) realised, with their albino looks and mushroom diet thought out enough to convince as a real, functioning society. The pale-faces tyrants are conniving, duplicitous villains, ones who are primitive enough to see a simple flashlight as divine, but smart enough to cotton on to the power it could bring them. What really saves The Mole People is that it looks so appealing. Yes it’s cheap, but from the excellent outdoor scenes on the snow-covered mountain to the ominous caverns below, it feels like an ideally realised environment for a rip-roaring adventure. Those Mole People themselves look good too. Again, they’re cheap and cheerful but the design is nicely weird, all big claws and vaguely human but very much not features. The Mole People isn’t great. It’s not even good. But it is fun.